This spray of little star lights is simply beautiful. Use indoor or outdoor to create an eye-catching display. 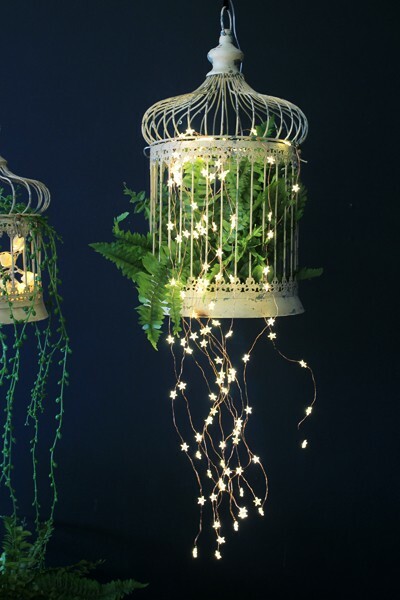 They are pictured here falling from a birdcage together with a faux fern, the effect is stunning.